Carr Construction is uniquely committed to building and renovating fine residential homes. Our belief is that by executing each phase of the project with conviction and attention to detail, we can directly affect the quality of life of those who occupy the space. From our inception in 1978 we have built an extensive portfolio of fine homes, additions, churches and historically significant buildings. We focus on creating structures that are both beautiful and practical, and have a particular feeling of timeless craftsmanship. That is why our name has come to symbolize standards of quality, reliability, and accountability that greatly exceed industry standards. 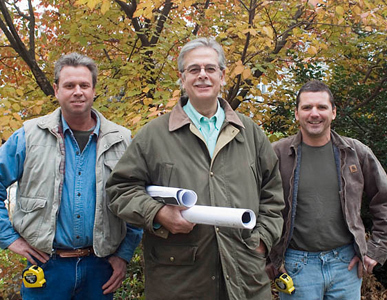 Having spent the last 25 years overseeing all types of construction projects, Carr Construction founder and owner, Richard J. Carr, has developed a vast working knowledge of all aspects of building, renovation, and historical restoration. He has also developed an extensive network of New England’s premier trades-people to help execute each project’s unique and diverse requirements. We stand behind every project we undertake and have built a reputation for honesty and integrity which continues to earn us increasing regard from Massachusetts’ most discerning architects and homeowners. Carr Construction is fully registered, licensed and insured in compliance with the Department of Safety and the Commonwealth of Massachusetts. We are members of the Green Building Council, and we are an EPA Lead-Safe Certified Firm according to Section 402 of TSCA.